Integrate your LIS, RIS or any HIT system with our seamless EMR integration solutions. EMR Integration for lab & diagnostic data has never been more achievable. Labs, diagnostic imaging, heart centers and hospitals need the right technology in place to seamlessly integrate EMRs and EHRs into their existing processes to remain competitive and compliant. Interfacing your laboratory (LIS) or radiology (RIS) or cardiology system to your referring physicians’ EMRs is easy, fast, and effective with EMRHub from Lifepoint Informatics. Improve outreach and connectivity with healthcare providers and payers to strengthen care coordination by giving them access to clinical data for a more complete patient record. With a robust, reliable and unlimited integration platform, Lifepoint Informatics helps labs, diagnostic imaging, pathology, hospitals, health insurers, and accountable care organizations (ACO) better manage care and interoperate within the healthcare community. Utilizing a virtual unified workflow platform, EMRHub requires only a single interface to an LIS, RIS or HIS. 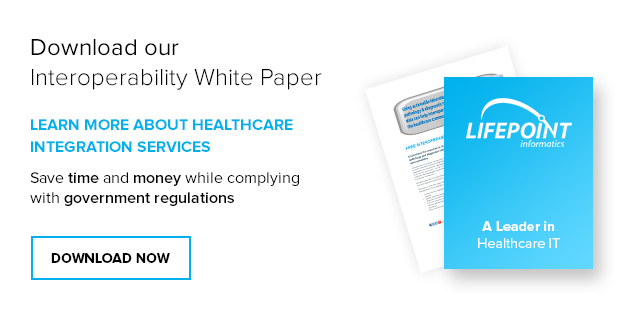 This reduces implementation time, effort and cost and enables diagnostic testing facilities to connect with every EMR in their provider community. 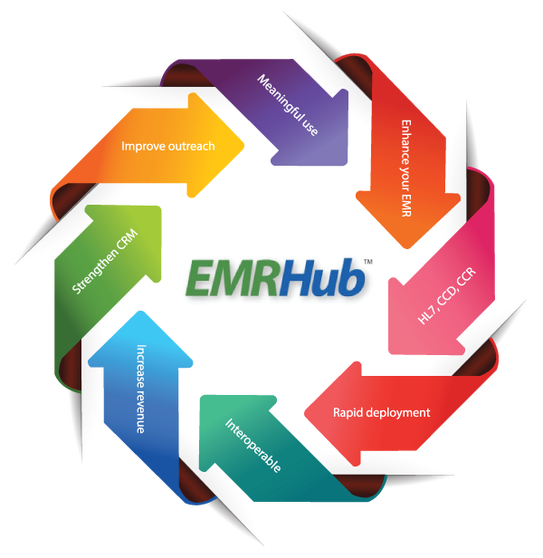 EMRHub is compatible with any EMR or EHR and seamlessly processes clinical messages between existing systems and referring physicians’ EMRs. Deployed as web-based middleware, EMRHub eliminates the need for custom point-to-point interfaces, costly interface engine hardware, and the IT staff needed to develop and support them. Lab test results, diagnostic imaging reports and other clinical test results are aggregated and normalized for easy sharing among the care community for improved population health.